The music of indie duo Wye Oak (Jenn Wasner and Andy Stack), which has been described as “synthpop haze with serious percussive backbone,” may not seem like the most obvious candidate for orchestral arrangement. That’s just as well, because neither Wye Oak nor composer William Brittelle are inclined towards the obvious. Together (along with special guest Michi Wiancko) they will stage, in Brittelle’s words, “a series of electro-acoustic art songs exploring secular spirituality in America” at Aria in downtown Minneapolis on October 14. How did your collaboration with William Brittelle come about? Bill actually approached us a couple of years ago (while we were working on our last record, Shriek). He was interested in acting as a conduit between pop musicians and orchestral musicians, but his vision—a really hands-on, musically adventurous approach rather than the usual pops-style orchestra—really appealed to us. His arrangements of our songs are strange and wonderful—it’s really exciting to hear our music re-imagined in this way. What was the process of rearranging your music for orchestra like? Has it changed how you hear and think about your own music as a duo? Obviously playing music as a duo forces a certain amount of economy in your approach. Our physical limitations can’t help but influence our writing and arranging styles. Sharing the stage with 50-plus musicians, then, is a totally different world for us. It’s overwhelming! (In a good way.) But it’s been very encouraging to see how, even with such a maximal approach, the essence of these songs remains the same. Shriek sounds like something of a departure from your previous work. The guitar-driven sound that helped define your earlier music has been supplanted by more bass and synth-heavy textures. What compelled you to go in this direction? A creative spirit, probably? There’s a certain type of person that will always be interested in new sounds, new textures, and new processes (spoiler alert: I’m talking about myself here). Switching things up and taking chances is an essential part of keeping the creative juices flowing. So the aesthetics may change (knowing myself, they will continue to change), but the songs themselves have always been the heart of this project, and always will be. You’ve said, “I like bands that you have to look a bit to find it, where you have to really listen.” Were there specific bands you had in mind when you made this comment? More generally, what are some inspirations or influences on your work that fans might not initially expect? I don’t remember making this comment, so I can’t say I’m absolutely certain of the “it” I was referring to. I can say that I tend to be drawn to music that is able to achieve much with very little. With Shriek, I was trying to create something more subtle and nuanced than our past records—something less bombastic, that opens up slowly over repeat listens. Pop music (and, let’s be honest, we’ve always made pop music) is a more oversaturated landscape than ever, and it can be difficult to carve out one’s own space while working within such an established form. For me, of late, I tend to respond to this overwhelming reality by getting small—by reducing ideas to their simplest forms, trying to work big feelings into increasingly intimate spaces. So … maybe that’s what I meant by that phrase? You and Andy Stack live on opposite sides of the country. How has that distance affected your creative process? I think it’s been a huge asset, honestly. We both have home recording setups, and it’s so easy to send works in progress back and forth remotely. But I do think we both do our best work when we have our own space to think and work privately. So it’s kind of the best of both worlds! You’ve spoken very candidly about struggling with depression and creative burnout in the wake of an exhausting tour in 2013. Has that experience changed how you currently approach music? I know myself, and I know my limits, a lot better now. As I’ve gotten older I’ve learned how to play myself like an instrument. I have certain tendencies, patterns that have followed me for my whole life, and my awareness of that fact allows me to make better decisions. I guess you could say I’m better at cultivating an environment that will provide the best results, creatively and personally. I’m still moody, anxious, and my own worst critic—but I also love what I do, and I’m incredibly grateful for the opportunity to share my music with others. And that thought usually is enough to get me through on the rougher days. 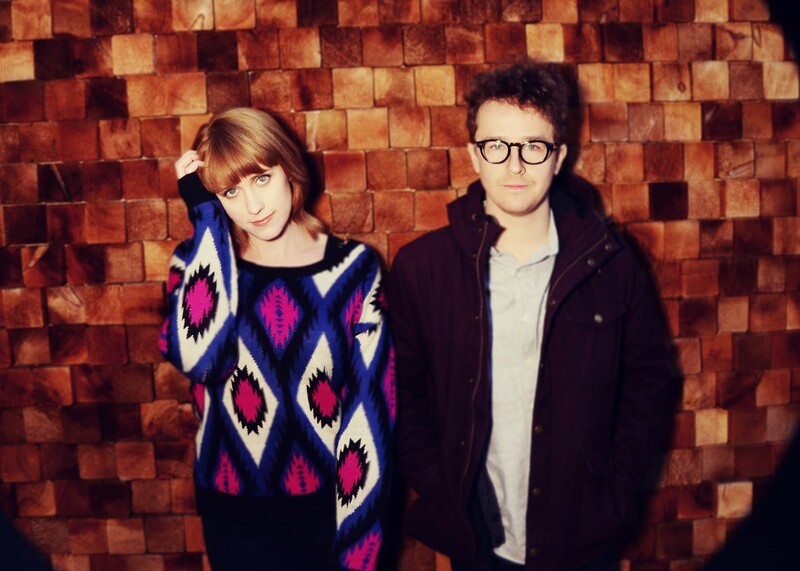 Wye Oak and William Brittelle will perform Spiritual America with special guest Michi Wiancko at 7:30 pm on October 14, 2015 at Aria (105 First St. N., Minneapolis). Spiritual America is copresented by the Walker Art Center and the Saint Paul Chamber Orchestra’s Liquid Music Series. To read more, head over to the SPCO’s Liquid Music Blog to read a recent interview with William Brittelle about Spiritual America.